With Brexit looming, questions continue to be asked about the UK’s economic prospects and the outlook for UK investments remains uncertain. UK equities are unloved, but this could present an attractive entry point for investors seeking value. After a decade of strong performance from growth strategies, is it time for value investing to come back into favour? 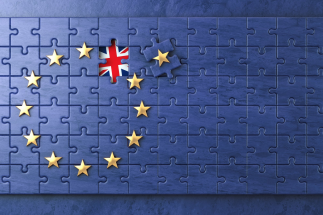 How are UK investment company managers making sense of Brexit? At a media roundtable held by the AIC, Simon Gergel, manager of Merchants Trust, and Sue Noffke, manager of Schroder Income Growth, discussed their approaches to value investing, where they are finding opportunities and their views ahead of Brexit. Their thoughts have been collated alongside comments from Laura Foll, co-manager of Lowland Investment Company, Alastair Mundy, manager of Temple Bar Investment Trust, and Alex Wright, manager of Fidelity Special Values. How do you approach value in your investment strategy? Alastair Mundy, manager of Temple Bar Investment Trust, said: “The Temple Bar Investment Trust takes a contrarian value investment approach. We seek to isolate opportunities suffering from poor market sentiment. Our belief is that the most predictable behavioural response of investors is their over-reaction to negative (and positive) news. This helps us as value investors to purchase shares in companies when sentiment towards them is very poor, and the valuation is at a discount to our assessment of fair value. It can feel very uncomfortable at times going against the herd in this way but it is this near-term discomfort that enables us to buy shares cheaply. Laura Foll, co-manager of Lowland Investment Company, said: “We would describe ourselves as pragmatic value investors. We use a range of valuation metrics depending on the company (enterprise value to sales, price to book, price to earnings) – there would be no one specific metric we rely on. We often buy new holdings at the point where there is a question mark over what we think is, in the long term, a good quality company. Alex Wright, manager of Fidelity Special Values, said: “My investment approach is very much in keeping with Fidelity Special Values’ heritage and history – that of contrarian investing, looking for unloved companies whose potential for recovery has been overlooked by the market. Value investing: time for it to come back into vogue? Alex Wright, manager of Fidelity Special Values, said: “It is always very difficult to say when a particular investment style will come in and out of fashion – this is largely a function of macroeconomic conditions and investor sentiment – things that are very difficult to predict. Investment Trust, said: “The past 10 years since the global financial crisis have been pretty tough – it’s been a lonely time for value investors. Falling interest rates have encouraged investors to favour relatively highly rated ‘quality’ stocks. While we understand investors’ appetite for companies promising durable long-term cash flows, we believe that over the long term competitive advantages are eroded, and believe that investors are currently overpaying for these type of companies. Where are you finding opportunities? Sue Noffke, manager of Schroder Income Growth, said: “Uncertainty about the UK’s relationship with the EU has left many international investors nervous about investing in UK equities. A recent poll showed that UK stocks were the least popular asset class among global fund managers. Alex Wright, manager of Fidelity Special Values, said: “Among the sectors where I see considerable opportunities is financials. I now own three UK life insurers – Phoenix Group, Aviva and L&G – where the average dividend yield for 2019 is well over 7%. This is well above historic averages, reflecting the market’s concerns around asset quality and the effect of widening credit spreads on life insurer balance sheets. Alastair Mundy, manager of Temple Bar Investment Trust, said: “In the UK we are finding some attractive opportunities in cyclical sectors and financials. The UK banks have become something of a pariah sector but we have seen significant changes and improvements over the past decade and yet they remain on undemanding valuations. New management, better balance sheets, improved regulation and the payment of fines has led to them becoming profitable institutions. Sue Noffke, manager of Schroder Income Growth, said: “There are several factors that we are considering in our investment strategy that aim to make the most of Brexit uncertainty. “Firstly, we feel that concerns around the impact of Brexit on the domestic economy and the value of sterling against major currencies have already been priced into the UK market. Since last November, the political background has grown less discouraging and domestically focused shares have stabilised. “The UK stock market is well diversified geographically. Almost three quarters of sales in the FTSE all share are derived from outside the UK and just over one quarter generated in the UK. UK equity valuations are extremely low in a historical context with blended valuations (price to earnings, price to book value and dividend yield) close to a 30 year low versus global peers. The information contained in this article does not constitute investment advice or personal recommendation and it is not an invitation or inducement to engage in investment activity. You should seek independent financial and, if appropriate, legal advice as to the suitability of any investment decision. Past performance is not a guide to future performance. The value of investment company shares, and the income from them, can fall as well as rise. You may not get back the full amount invested and, in some cases, nothing at all. The AIC is the trade body for closed-ended investment companies. We help our member companies deliver better returns for their investors.